Koa of the Drowned Kingdom, by Ryan Campbell – Book Review By Fred Patten. Koa of the Drowned Kingdom, by Ryan Campbell. Illustrated by Cooner. Dallas, TX, FurPlanet Productions, September 2015, trade paperback $9.95 (146 pages), electronic edition $6.99. 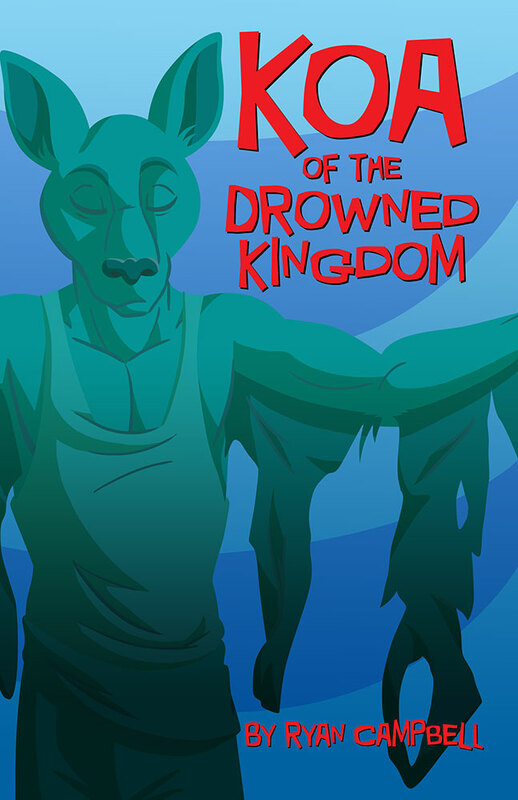 Koa of the Drowned Kingdom is the tenth of FurPlanet’s “cupcakes”; novellas instead of novels. It seems at one point to be a variant of the Cinderella legend, but that’s misleading. The setting can be taken variously as another world, as completely imaginary with funny animals, or somewhere in Melanesia in the far future. It’s a civilization of giant mangrove trees rising out of the Southern Sea, inhabited by anthropomorphic fruit bats (flying foxes), otters, wallabies, and monitor lizards. (No other Melanesian fauna like rhinoceroses or monkeys, though.) 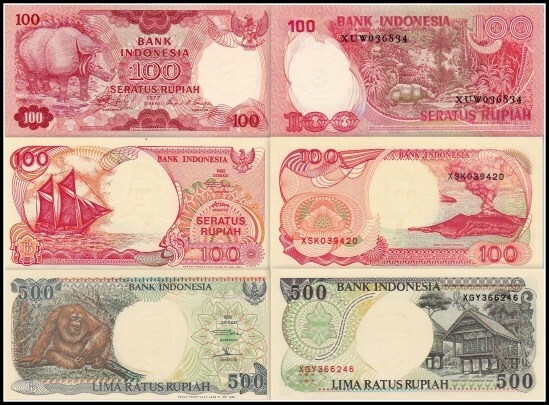 Their money is the rupiah, the real life currency of Indonesia. Magic is real, though officially only practiced by the bats. The society is developed in rich detail. Each mangrove tree is a huge separate Kingdom with homes and shops upon its branches, with the trees all locked together by rope bridges and boat travel at the bottom. 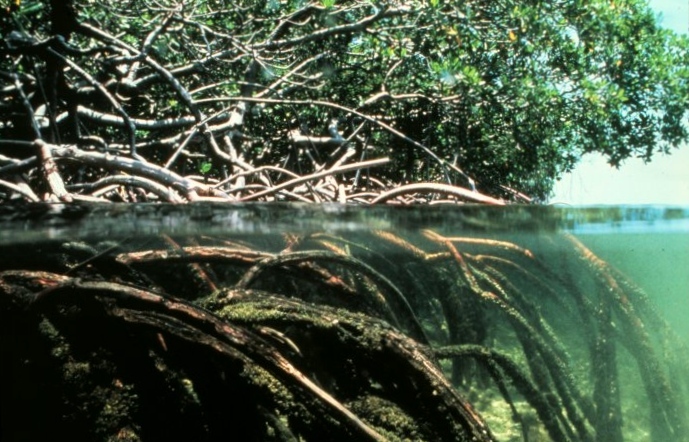 Each giant tree is divided into habitats ranging from the Crown at the top, down through the Head, the Shoulders, the Belly, the Knees, and the Toes at the bottom which are the mangrove’s roots rising above and sinking beneath the ocean. The trees’ branches are Arms. The habitats are also divided socially, with the Crown inhabited by the flying fox aristocracy who set great prestige on their ability to fly, down through the Shoulders relegated to the upper classes, the Belly to the merchants, and the Knees to the lowest class, the otters who are fishermen. Nobody lives on the Toes, which dip into and out of the ocean. Different Kingdoms are the Kingdom of Titan, the largest tree; the Kingdom of Beards, whose branches are covered in beardlike moss; the Kingdom of the Great Drinker, a bulbous hollow mangrove with a large pool of drinkable water collected from rain and dew in its belly; and others – including the Drowned Kingdom, Atlas, once the mightiest of all until it was uprooted by the Great Storm and toppled beneath the Southern Sea. Kingdom can also refer to the social strata, with the Crown as the elite of the Upper Kingdoms and the Knees as the least desirable of the Lower Kingdoms. The division is not just social; the flying foxes use magic to keep other animals out of the Crown and Head Kingdoms. Koa is a young flying fox trapped in the Knees of Titan. He cannot fly. He was orphaned and his wings shredded beyond repair in the Great Storm that destroyed his Kingdom of Atlas. The shredding of his wing membranes has made him hideously disfigured and an outcast to the other flying foxes. He was adopted by a gregarious otter family living in Titan, and he has grown up with eight foster brothers and four foster sisters. His best friend is his brother Tug. Besides fishing, Koa and Tug spend their time scouring the muddy shallow seabed beneath Titan for whatever has been dropped or thrown away by the flying foxes living in the Crown – it may still be worthwhile to the bottom-class otters. Koa has reached the age when he is beginning to develop amorous urges, but to other flying foxes, not otters. Specifically to Maiel, the son of a wizard aristocrat in the Crown of Titan. But they almost never meet socially since Maiel seldom comes down below Titan’s Head, and Koa is too embarrassed by his torn wings to venture into the bats’ world; especially since haughty Hayden makes a point of publicly humiliating him when he does. When Ruduuk, a monitor lizard merchant, offers him a temporary glamour (good only until midnight) so he can appear as a handsome, aristocratic flying fox and attend the exclusive Firefly Ball in the Crown to meet Maiel, this is when Koa of the Drowned Kingdom seems to turn into a disguised Cinderella. Don’t You Believe It! There is treachery, surprises, danger, fights to the death – well, you don’t want a spoiler. Just read it. You won’t be disappointed. Although there are some scenes of M/M romance, they are very chaste. The book’s cover is by Cooner, who also has five full-page illustrations in it. They are accurate but very cartoony. I think that more realistic art would have improved the story; though as cartoons, these are fine. Picked this up at Rainfurrest, Campbell was there to sign it. Yes, it was a very engaging read for the trip home! I included the pictures of the fronts & backs of three Indonesian banknotes, two 100 rupiah notes and one 500 rupiah note, in this review. That smoking volcano on the back of the second 100 rupiah note is Krakatoa. These show a rhinoceros and an orangutan; two Melanesian animals that aren’t anthropomorphised in “Koa of the Drowned Kingdom”.